a. Burwood Resource Recovery Park – there must be no exemption from standard operational safety requirements as applied to every other dump in Canterbury. b. Land Zoning concerns – see Parklands Safety Plan (draft below). c. Transparency is urgently requested around the Prime Minister’s and the Christchurch Mayor’s earthquake emergency relief funds: how to apply, who to, and what are the details of disbursements so far? Every home needs one of these. A checklist of essential items and preparations appears overleaf [the Parklands Safety Plan will become a two-sided advice page for distribution]. Think through where you will go and how you will get there, should your home suddenly become uninhabitable. Think of alternative routes and means of transport, should they become necessary. Keep your portable emergency kit ready to go. Street groups work together to decide immediate needs and solutions. In this way reason can balance the hysteria caused by extreme events, for keeping everyone safe and supplied with the essentials of life and good information. Families and neighbourhoods under stress need to stick together and work through the situation step by step, patiently. There are so many people dealing with the same pressures, and with government and agency support stretched so thin, that no response can happen quickly or without your steady management of it. Each neighbourhood group in the suburb needs to know about each other. Post your contact person details – names, addresses, phone numbers, email addresses – in prominent places so that connections can be established beforehand, and then utilised to bring people together in an emergency. N.B. The Parklands Safety Plan is intended to be a quick guide and decision-making tree, to assist distraught residents everywhere, for any emergency. Ref. 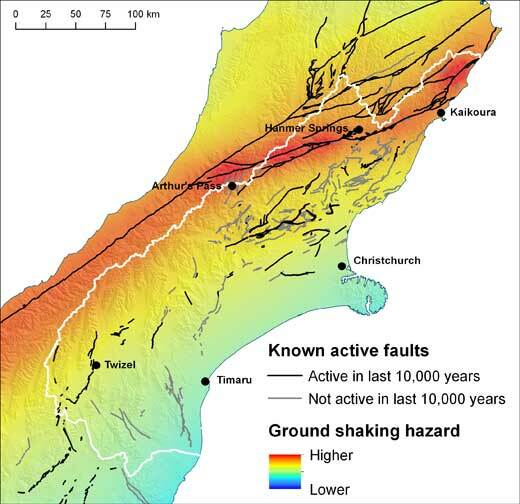 Emergencies and Hazards ecan.govt.nz/advice re: Earthquake hazards and Tsunami + Tsunami information for Christchurch after the earthquakes + read the ECan Q-Files on Earthquakes, Tsunamis, Liquefaction etc. + Canterbury Civil Defence Emergency Management Group notices + Christchurch earthquakes city council page + Earthquake help at getthru.govt.nz – what to do. Welcome to Parklands Recovery Group web site (under construction). Parklands Recovery Group unites an earthquake response by affected parties within the greater Parklands: Tumara Park, Forest Park, Parklands, Queenspark and Travis Country, within Burwood-Pegasus ward of Christchurch city council area of Aotearoa New Zealand. Our particular concern is reinstatement of East Christchurch value, post-quake, which is extensive and diverse – including environmental. The proposed Burwood Resource Recovery Park is a “risky venture” that requires clear and determined community moderation. b. Give notice of next Parklands Recovery Group meeting, in mid-January 2012 (TBA) – phone for details. c. Invite your participation in Parklands Recovery Group or enquiries. d. Raise the internet profile of Parklands Recovery Group. Thank you for visiting. We look forward to meeting you soon.